We’re ‘March-ing” along, aren’t we? 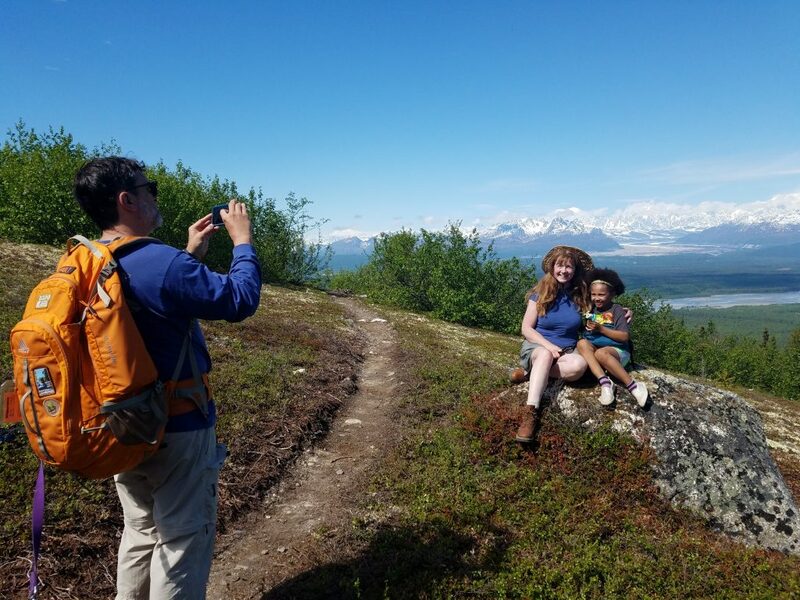 Alaska’s longest season departed with a bang over spring break, and now we’re all looking ahead to another light, bright, and family travel-centric summer. To catch you all up on our own comings and goings; I fashioned a newsy letter to give you an idea of all the fascinating fun our family and yours can embark upon in the Last Frontier (or beyond). 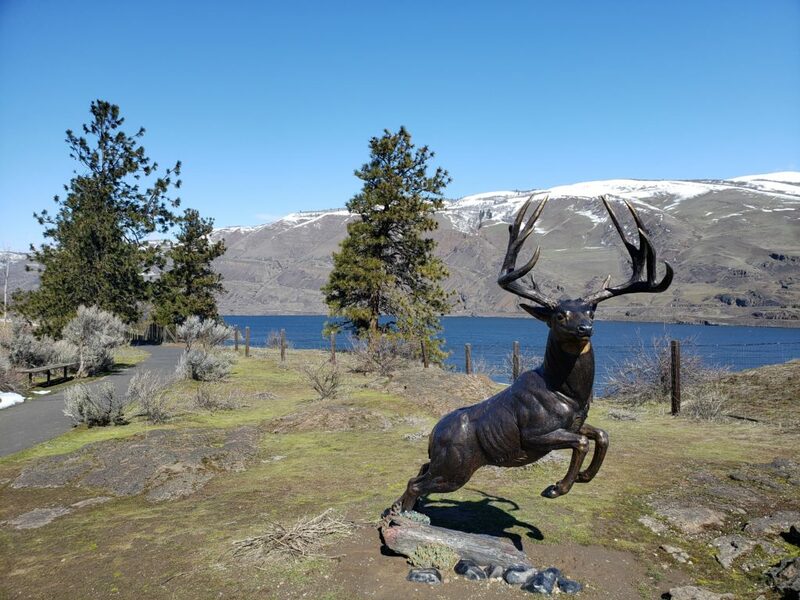 We spent spring break – (and we don’t miss at all the irony of what Alaska schools call ‘Spring Break’ when snow is still piled up to our ears) – in The Dalles, Oregon. Haven’t heard of The Dalles? This Columbia Gorge community, located about two hours east of Portland, is less-showy than kitchy Hood River, and promises a family every sort of adventure one could hope for, including sunshine. My gig is telling stories about people, past and present, so when we found out the end of the historic Oregon Trail was one of the reason The Dalles existed in the first place, well, let’s just say my anthropological nerves were strummed quite poetically all week. I’ll be weaving a story for Outdoor Families Magazine over the next few months, so be sure to stop by that outlet and learn about one of our new favorite family travel destinations. 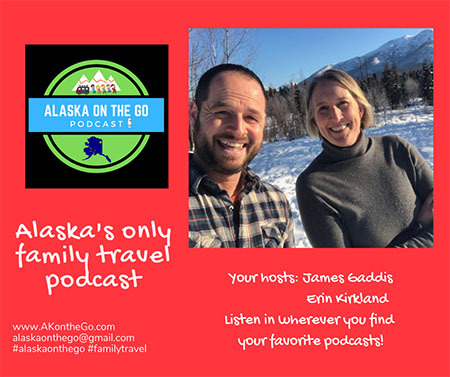 Meanwhile, back in Alaska, James Gaddis and I dropped episode two of Alaska On the Go, a new podcast crafted specifically for families exploring the 49th state with children. We covered spring break, talked about gray whale season in Resurrection Bay, and gave kudos to the Anchorage Museum’s newest exhibit, all about Alaska’s connection to food. Pick it up HERE. I also launched an exciting new adventure this summer in partnership with Global Family Travels and Salmon Berry Tours. The trip, called “Learn, Serve, Immerse in Alaska’s Interior,” will combine two of my favorite things — family adventuring and literacy. Thanks to GFT, a company that understands that to grow future stewards of any place, said future stewards need to become part of that place, we’ll be exploring Alaska between Fairbanks and Denali National Park while we stage two reading-based events called StoryTracks. This five-night, six-day adventure is perfect for a family looking to truly understand what it’s like to live, work, and play in the Last Frontier, and I’m truly honored to be tasked with leading this journey. Need more information? Check out Global Family Travel’s website HERE. 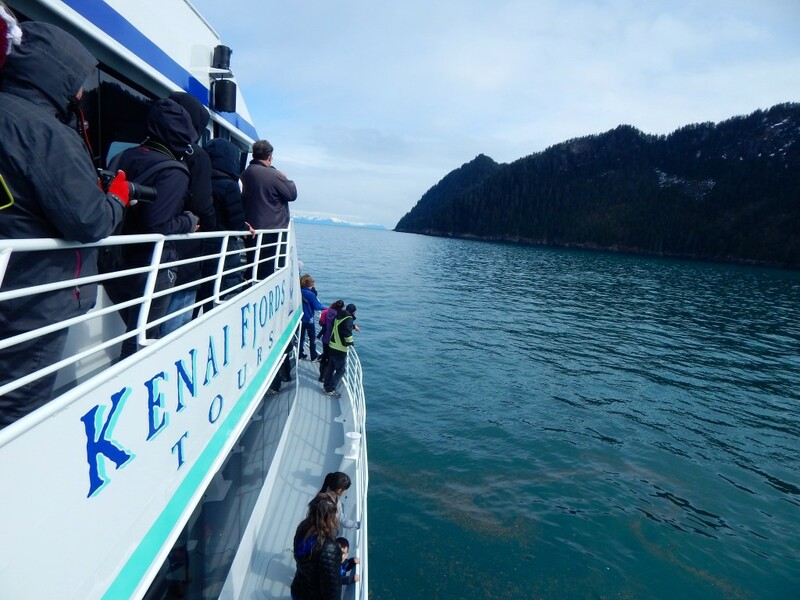 -A special giveaway from our friends at Kenai Fjords Tours — hot off the AKontheGO blog next week. So if you haven’t subscribed, NOW is the time, because you’ll be the first to enter and win. Stay tuned. 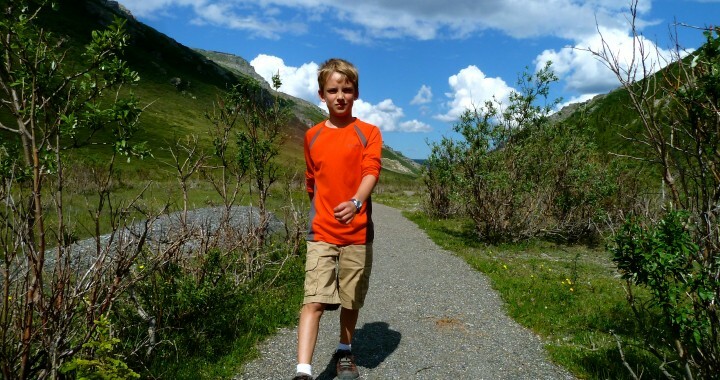 – Mark your calendar for a special presentation at the Anchorage REI store called ‘Kid-Friendly Fun in Alaska State Parks.” Want to try camping this summer? A public use cabin? Not sure what to expect? State Parks staffer Wendy Sailors and I will give you the whole scoop, and your kids are welcome to come and work a craft and eat a snack while we do it! Sign up HERE. 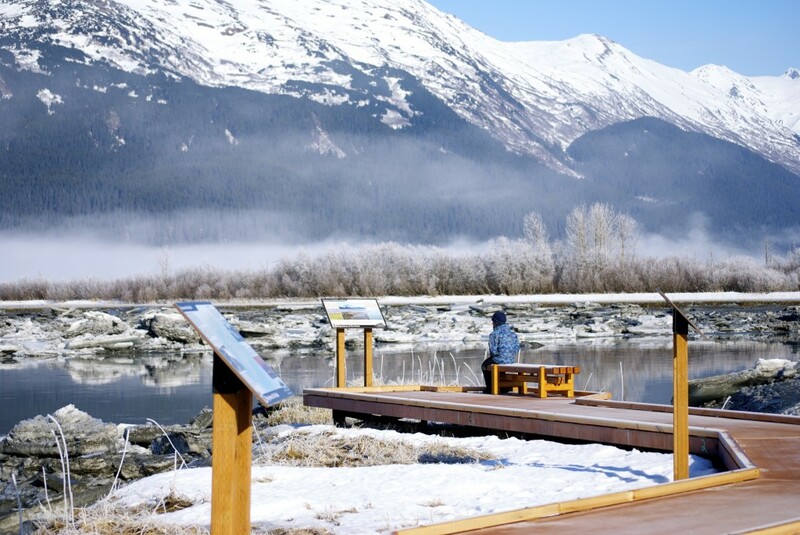 Posted in Fairbanks and Interior Alaska, General Travel Info and tagged AKontheGO, Alaska, Alaska On the Go, Alaska podcasts, Alaska with Kids, Denali, Family Travel, Global Family Travels, Kenai Fjords Tours, Salmon Berry Tours, The Dalles. Love learning more about the Dalles area from you! This is a spot that I’ve been wanted to explore—need to plan a road trip here soon. Thanks for the inspiration!